Wow, what a year! I can't wait to see where you go in 2011. Wonderful "Top 12 " countdown ! Wonderful collage. I've enjoyed the sights of all the places you've traveled. Can't wait to do it myself some day. Keep it up, you're a great inspiration! 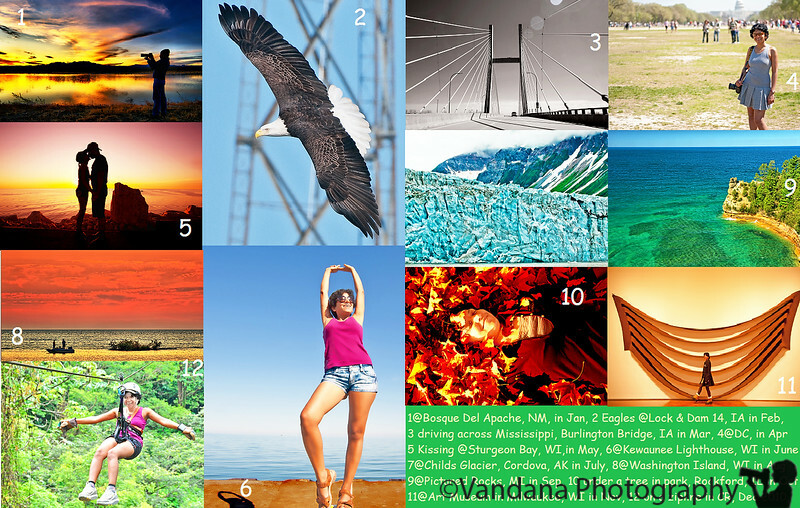 Fantastic collage to capture your ventures! Wow, impressive collage! Happy New Year! What a fantastic collage to finish out the year! I think Nos. 1 and 6 would have to be my favorites. I loved seeing all your great work in 2010, and I'm looking forward to more in the new year. Best wishes for 2011! Nice collage ! #1 is fantastic. Best wishes for the new year ! I remember all of these. It has been nice traveling vicariously with you to all these great places. Nice collage. Happy New Year.